Rotary didn't stop developing membership because people were not interested in joining local Rotary clubs. Recent membership metrics have proven that. It stopped growing because Rotary and its member clubs became product oriented instead of member oriented. They marketed the results of the Object of Rotary instead of its value to its member clubs and Rotarians - its customers - those who fund its operations. !!!!!!!!!!!!!!!! TO JOIN THE CONVERSATION, PLEASE CLICK ON THE ROTATORIAL'S TITLE AND SCROLL TO THE BOTTOM !!!!!!!!!!!!!! Advancing the Object of Rotary is the personification of local People of Action coming together and celebrating diversity and inclusion; where everyone is respected, included, and valued for their individuality. Being a member of a Rotary Club is a joyful reminder that, when we embrace our differences, our potential to be a positive influence in our local social fabric and the world is infinite. Most Most Disturbing Membership Information Statistic I have ever seen! A slide from the Rotary International PowerPoint "State of Rotary Membership as of July 1, 2018" reflecting worldwide membership statistics. IS ROTARY INTERNATIONAL FOLLOWING SEARS? Why do I think Rotary International's (RI) membership in North America and other legacy regions declined? Do I believe RI is in a permanent membership stalemate or decline? restructuring operations in an attempt to become a worldwide service organization. My response to the second question depends upon how its leaders vision RI's future. I suspect that RI will continue on its present course until leadership accepts that RI did indeed make these mistakes and aggressively pursues resolutions to each issue, beginning with "Why would a person want to join and pay dues to local or electronic Rotary Clubs?" 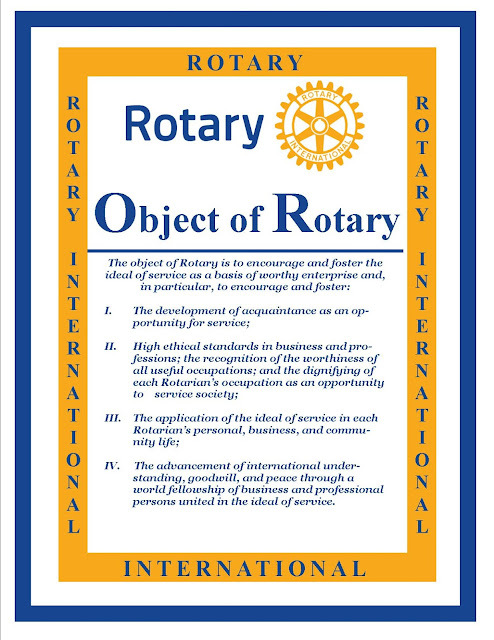 Along this avenue, I am aware that seminars around the world discuss variations of this question: Is Rotary a service organization with members, or is it a member organization that performs service? If RI chooses to travel the path of being a service organization with members, it will continue to struggle. Local clubs, the pistons that drive RI's worldwide engine of influence, will gradually cease renewing charters because of falling membership. That will continually weaken RI's ability to attract sufficient supporters, which will make it difficult for RI to sustain as an influential worldwide service organization. If RI centers ALL activities on being a member-driven network of local Rotary clubs that perform community and worldwide service, then I believe it has a chance of having a long, influential future. Some of RI's present senior leaders are trying to influence change along these lines. In an organization as diverse at RI, overcoming long-held philosophies, customs, and priorities is not easy, particularly with frequent changes in leadership. In fact, it may be impossible for RI to alter its present course without completely restructuring core practices, mind-sets, and operations. On the positive side, RI does have a basic worldwide structure already in place that could accelerate change, but all of RI's departments, committees, administrative districts, and attributes MUST support pursuing a singular, differentiating objective. Is RI going to continue to follow Sears? What do you think? WHERE DOES ROTARY GO FROM HERE? Why do membership-based organizations flounder? Almost always, it is because the organization's leaders are either unaware their organization is floundering or are aware but do not know why. This is only logical because, if organizations' leaders knew what was happening and why, they would try to prevent it from floundering. be clear on why those it wants to attract would be willing to exchange time, talent, and treasure for membership. Without agreement on these issues, there cannot be adequate planning of any type, and it will be difficult to develop and support membership. Is this where Rotary is at this time? If so, where does it plan to go from here, and how will it get there? 1. Define the characteristics of those RI wishes to attract into membership. Who is going to pay for the services RI has to offer and how many potential buyers exist? What is a realistic expectation of how many who qualify will actually become members? How many will remain Rotarians and for how long? 2. Have a brief but well defined mission statement. A brief mission statement should define why RI exists. It should succinctly describe RI's core supporters, and the value proposition that will attract them to Rotary. 3. Overcome poor management. Instead of understanding what its supporters are saying, leaders often lose trust and start trying to micro-manage. They do not react to what is actually happening because they do not know why it is happening. They usually rely on excuses instead of reasons, and often believe that they know what their supporters want and need better than their supporters. 4. Learn from failure. Learning from failure is difficult because very few former or present leaders want to actually admit that their past, or present, actions did not or are not working. In doing so, they are not learning the whys of what happened or is happening, therefore they cannot effectively react. Few places are less forgiving to organizations than competitive, ever-changing social atmospheres. RI was quite successful adjusting to such conditions between 1905 and 1995. Since then,overall membership has stagnated, primarily due to declining membership in some legacy regions. So what happened and why did it happen? Does RI have any idea where it is going from here or how it is are going to get there? Retention Begins with Rotary International President Elect Germ's ASKASKASK! Rotary has come a L-O-O-O-NG Way, but It Can't Stop Now! The Only True Measure of an Effective Club is its ability to Attract and Retain Members! ROTARY IS A BUSINESS UNLIKE ANY OTHER! 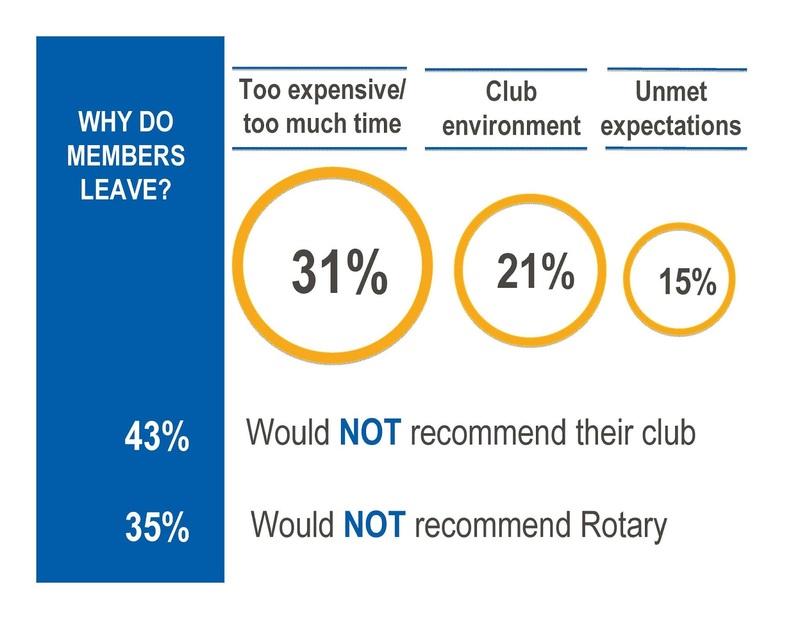 What Results do Rotary International's Leaders Expect from the Regional Membership Plans? Rotary - There is Little Progress without Relationships. 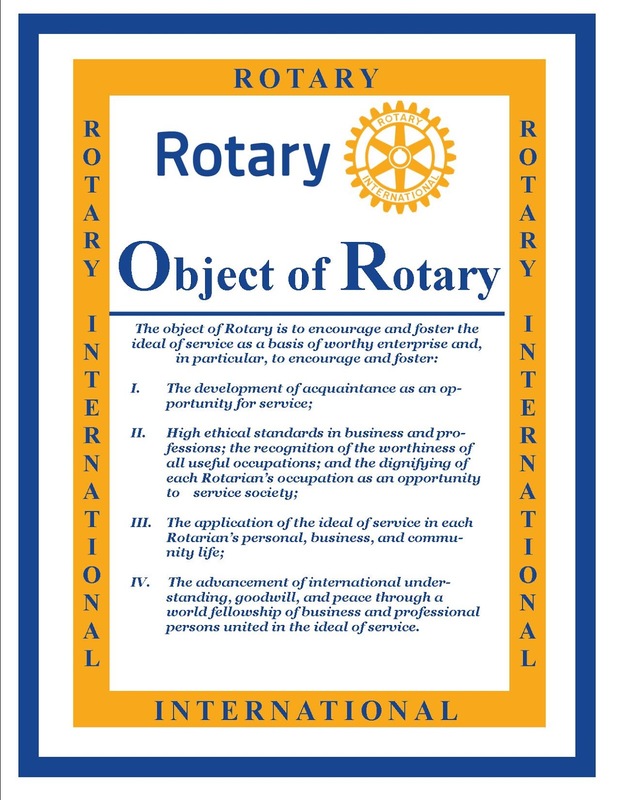 The Object of Rotary - Rotary's Differentiating Value Proposition. Who Rotarians Are. Is the Office of District Governor in Danger of becoming more Symbolic than Functional? WITHOUT CONTINUITY IN LEADERSHIP, ROTARY'S GOALS CAN RUN AMOK! MM #6 Why Join Rotary?